A fast way to build ElasticSearch query dsl string, even without writing implement code. 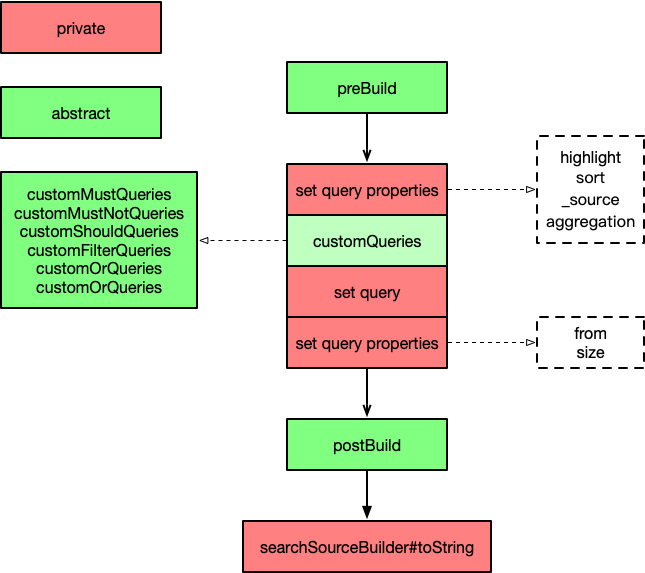 fast-elasticsearch-query-builder privides two kinds of annotation to build query string: Function Annotation and Query Annotation. To build query clause. It includes Query Context Annotation and Query Type Annotation, and they must be used together. Decides how Query Type Annotation affect the hits (just filter the hits or affect the score). Decides the behavior of search. You can custom your query in the abstract method. You can see more detail usage in the demo under the test/ directory.